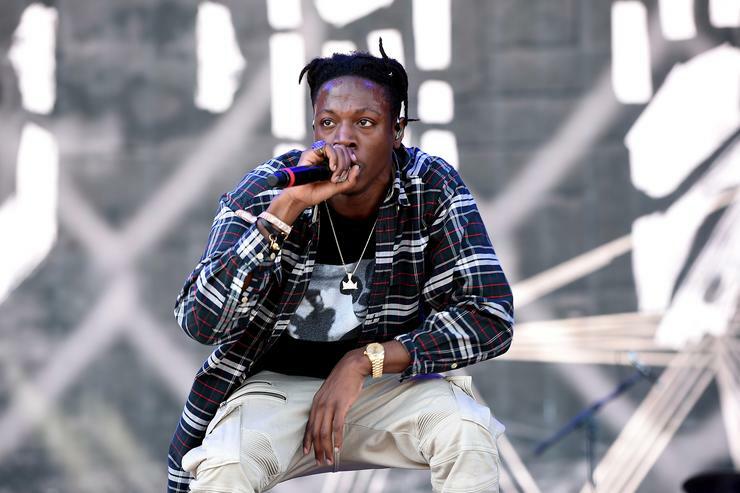 Yesterday, we reported that Joey Bada$$ had to cancel shows in Chicago, Cleveland and Toronto due to "unforeseen" circumstances. The Internet had a field day with this because, prior to announcing that he'd bailed on those aforementioned shows, he had taken to Twitter to ask if he was "crazy" for looking Monday's solar eclipse without glasses on. According to the rapper, he had "sungazed" in the past and, despite impairing his vision slightly, he says he's never "died." As it turns out, Joey most definitely needed to wear his sunglasses that one time, because now he'll be forced to wear another pair of glasses pretty much all of the time. 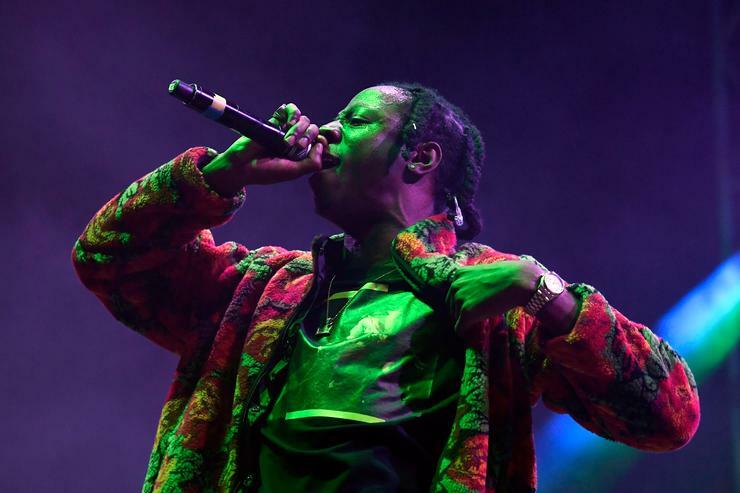 The New York rapper took to Instagram to share what doctors have prescribed him as a solution to his visual ailments: a pair of bulky, vaguely Anna Wintour-esque sunglasses. According to Joey, "[...] I gotta keep these on in the daytime now .... a lil annoying but they're pretty fire." Style questions aside, the fact that he now has to wear that kind of protection against the sun's potentially harmful rays should be a wake-up call to he and anyone else who thinks that looking at the sun with your naked eye is a good idea, no matter what the scenario is. As per an interview that he gave to NPR, Ralph Chou, a professor emeritus of optometry and vision science at the University of Waterloo, in Ontario, Canada, says that "it wouldn't be until 12 hours later that [someone] would even notice their vision was changing. It might not be until [the next] morning when they wake up and realize that they can't see that well." When asked about the symptoms of this kind of eye damage, Chou says they can include "blurred vision, where the very center of the vision might have a spot, or multiple spots, that were missing in their vision — that were very, very blurred." The professor also said that, about half the time, the damage one can do to their eyes by looking at the sun unprotected is permanent. Let's hope Joey recovers from whatever vision problems he's having soon.